On Friday, Nov. 8, as the sun shone brightly in Riverdale, Typhoon Haiyan (Yolanda) — one of the strongest storms in recorded history — made landfall half a world away in the central Philippines. The United Nations Office for the Coordination of Humanitarian Affairs has estimated that about 9.8 million people are affected, more than 650,000 displaced and more than 10,000 feared dead. Jaspers rallied to aid relief efforts in the Philippines, a country with 16 Lasallian educational institutions and a strong presence of Brothers. Although none of the schools were in the direct path of the typhoon, some have reported minor damages to their infrastructure. 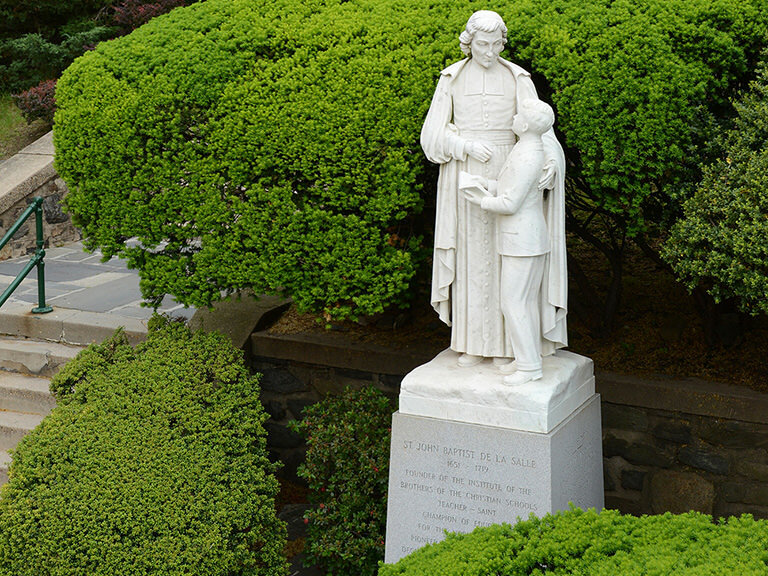 In solidarity with the Brothers of the Christian Schools District of Eastern North American (DENA), Manhattan College is collecting money for the One La Salle Relief Drive: Yolanda. Students can also contribute to Catholic Relief Services, the official international humanitarian agency of the Catholic Church, or drop off a donation at Cornerstone, Miguel Hall 209. In addition, the collection at the College’s Sunday Mass on Nov. 24 will go toward typhoon relief. Concerned about the lack of clean water available to survivors of the typhoon, a group of Manhattan College chemical engineering seniors have also partnered with an alumnus to help deliver water filtration devices to the Philippines. Annmarie Flynn, Ph.D., associate professor and chair of the chemical engineering department, began by reaching out to Sawyer Products, a company that produces simple, gravity-powered water filtration devices that can purify 500 gallons of water a day and work for up to a year. Branding themselves as Engineered Relief, the students raised enough money to purchase and ship 38 water filtration devices to the Philippines. The materials will be sent directly to Enrique Sola ’09, ’11 (M.S. ), Flynn’s former student and a major player in Filipino humanitarian aid and education.